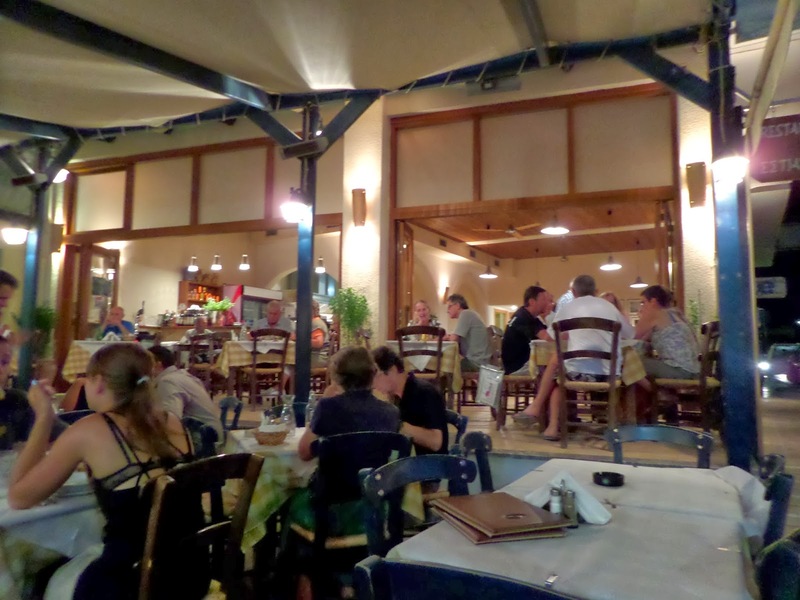 The Hellas is one of the biggest tavernas in Palaikastro. It's located right on the central square of the village, with the associated hotel just behind on the street leading up to the square (I haven't found out yet whether the hotel is dog-friendly). 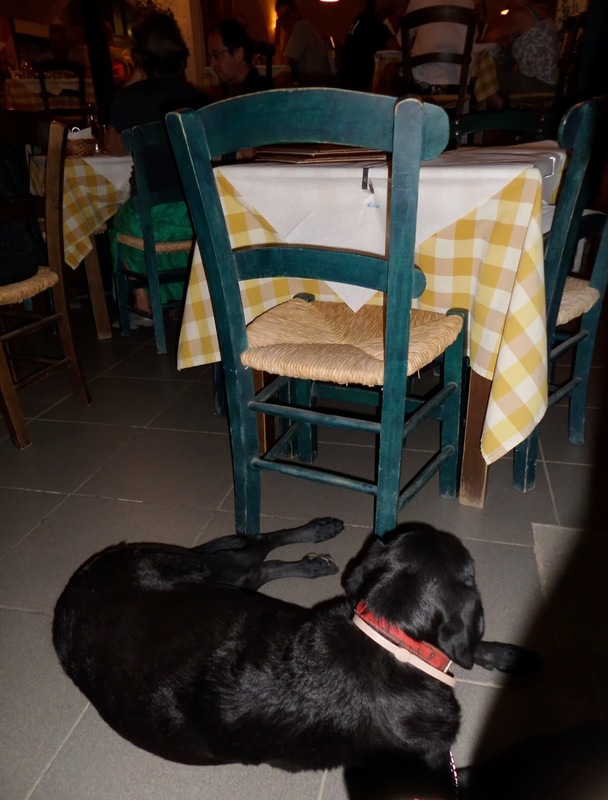 I have eaten out here many times, as it is one of the favourite choices of the archaeologists at Palaikastro to get together for big group dinners. 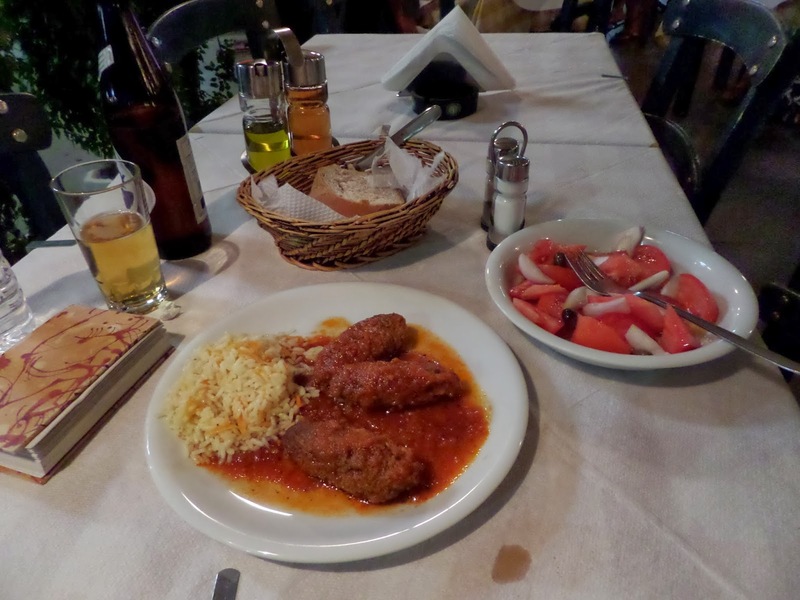 The Hellas also serves breakfast and lunch, and is open (although with reduced opening hours) all through the winter. They serve a variety of salads, omelettes and pastas for a lighter lunch, as well as large range of traditional Cretan dishes (fish, stew, souvlaki, bean dishes etc). Prices here are typical for the area (lower than for most of the island) - I paid under 10€ for a big portion of meatballs in a tomato sauce with rice, salad and a large beer. I have brought Sage with me to the Hellas on several occasions. Staff and owners here have always been very accommodating - on a visit in early Spring, we found a quiet corner to sit inside to escape the cold, while on a summer evening last year they had no problem with us sitting out on the busy terrace. I should say here that Sage is particularly well-behaved, doesn't bark and annoy other customers, and stays on her lead at my side. Very bad food, small portions, expensive and waitress indifferent.